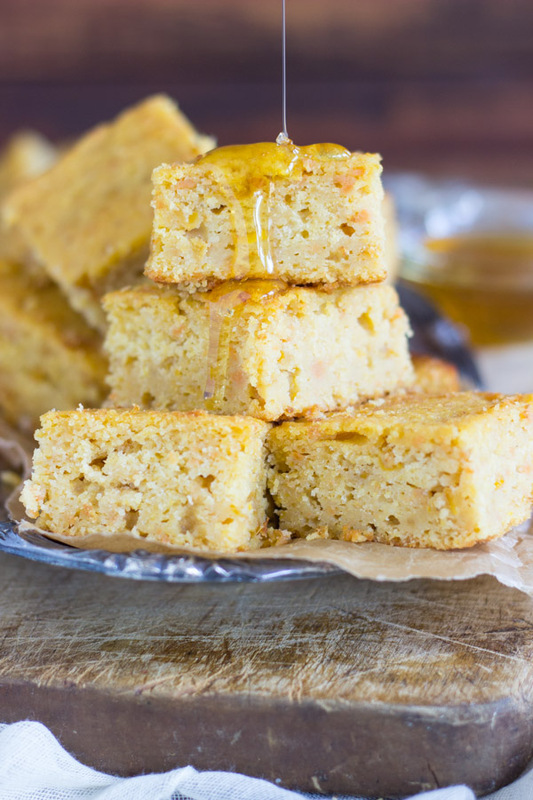 With a touch of honey, this sweet potato cornbread is the most moist you’ll find. 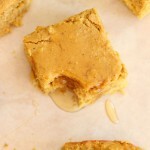 It’s not dry or bland like most cornbreads, and the sweet potatoes and honey add subtle flavor! 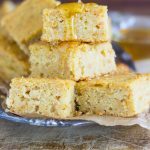 I am always in pursuit of extremely moist cornbread recipes, and I love original and unusual cornbread recipes that feature fun flavors and add-ins. I have a few great ones on the blog. 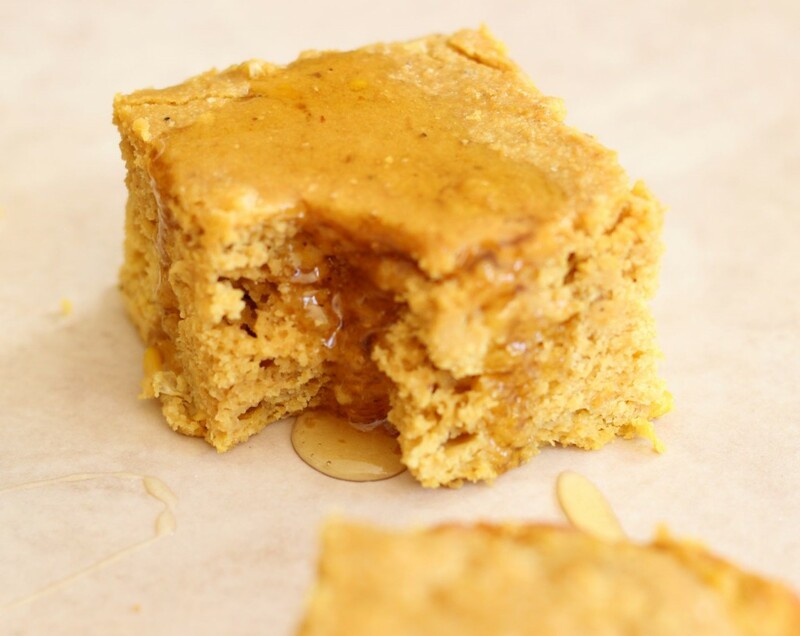 My personal favorite is this Pumpkin Cornbread recipe, and it is seriously awesome. 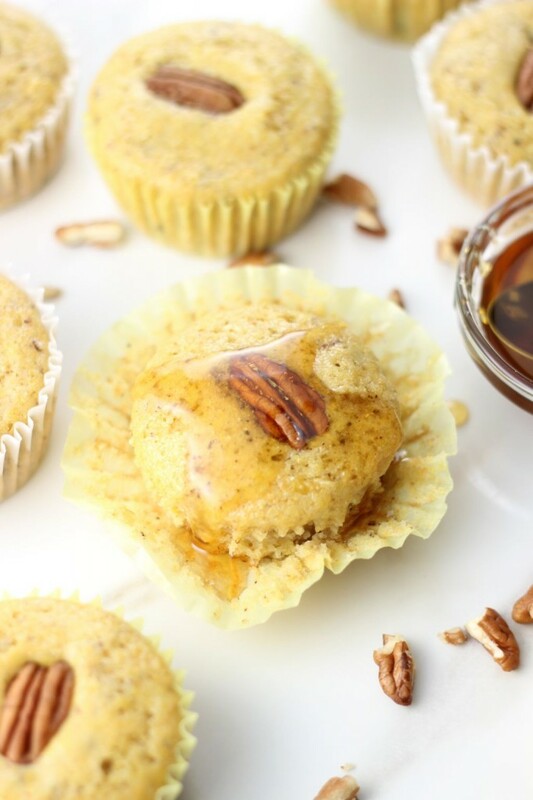 Yes, I’m a pumpkin maniac and I want it in everything in the fall, but even if you’re not a pumpkin fanatic, you’ll love it. It’s incredibly moist, and the pumpkin flavor is noticeable and detectable, but it doesn’t smack you in the face. It’s also just unbelievably moist. 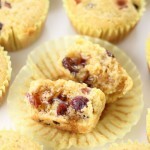 I have recipes for Maple Bacon Cranberry Cornbread Muffins and Caramelized Apple & Pecan Cornbread too. They are super unique options, and are equally delicious. Both are great for holidays! 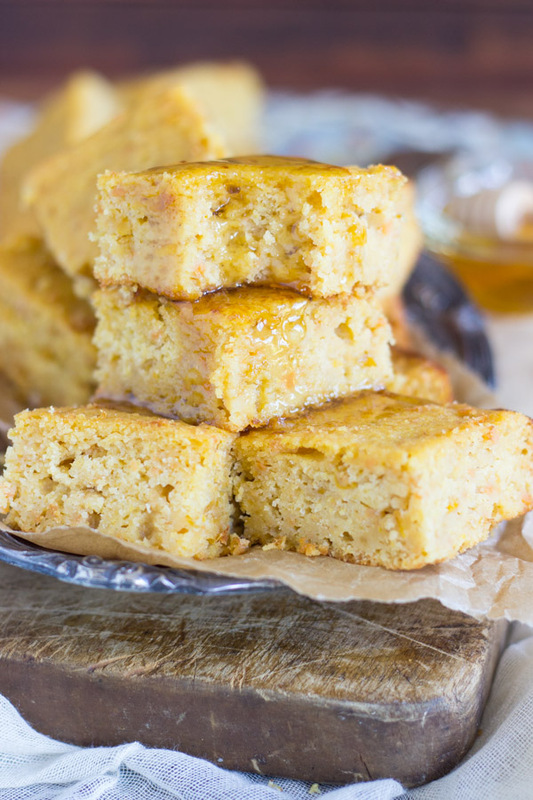 This Sweet Potato Cornbread is delightful too. I find that sweet potato is somewhat subtle in baked goods. Sweet potatoes add moisture, a hint of sweetness, and flavor, but are more subtle than perhaps pumpkin. Fresh mashed sweet potato is so much better than canned, if you’ve got the time, but either will work in the recipe. It’s so moist, which is my #1 criteria for a good cornbread recipe. I actually have to pop it into the refrigerator for about a half hour after it cools so that it kinda ‘sets’, and I can make nicer cuts. It’s otherwise so moist that it’s tricky to cut, but that’s a good problem to have with cornbread. Once it firms up, you don’t need to continue to refrigerate it. It’s slightly sweet from the potatoes themselves (and the creamed corn), but also from the addition of a touch of honey, and a little brown sugar. 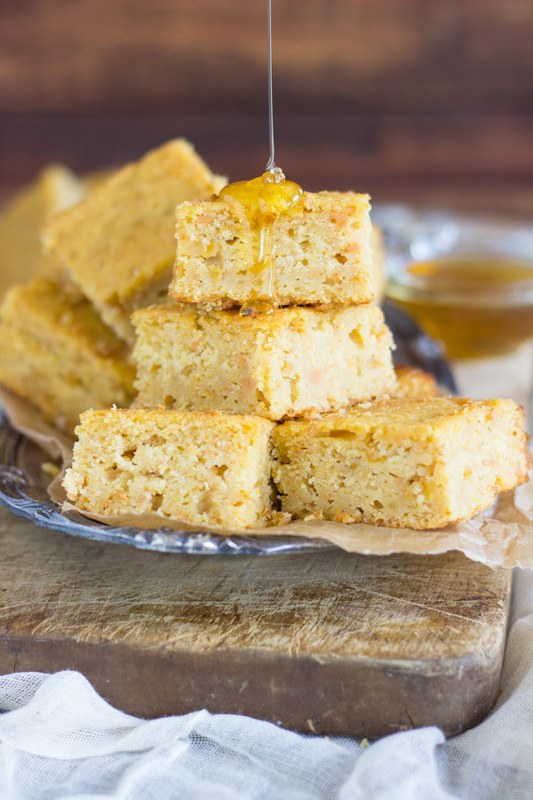 It’s the furthest thing from dry or flavorless cornbread. 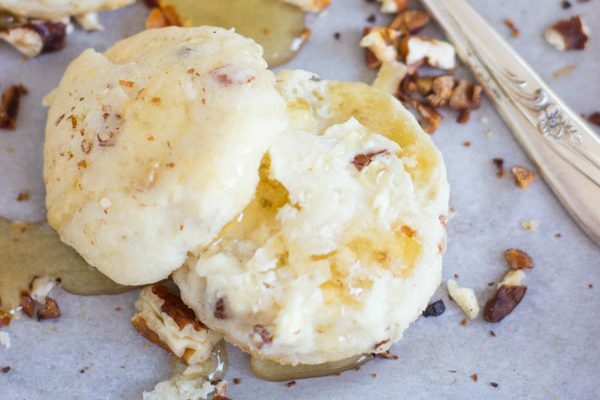 Don’t forget about this recipe when you’re planning your Thanksgiving menu! 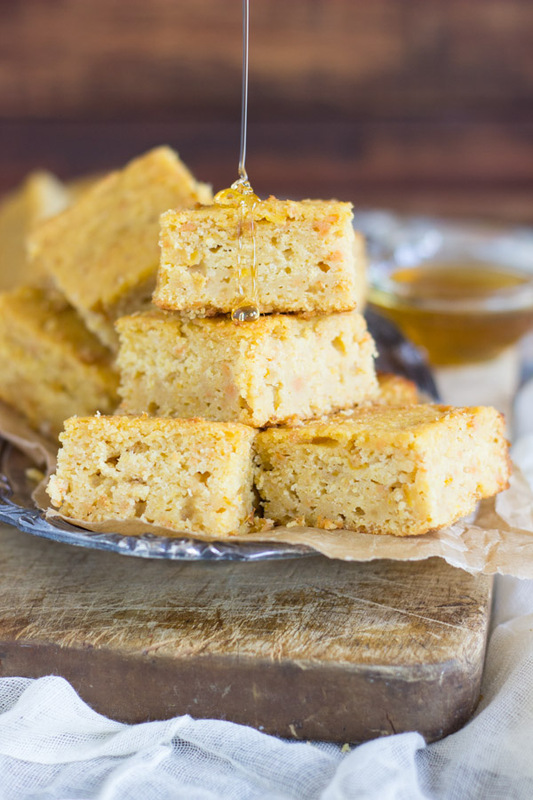 With a touch of honey, this sweet potato cornbread is the most moist you'll find. 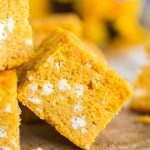 It's not dry or bland like most cornbreads, and the sweet potatoes add moisture and subtle flavor! 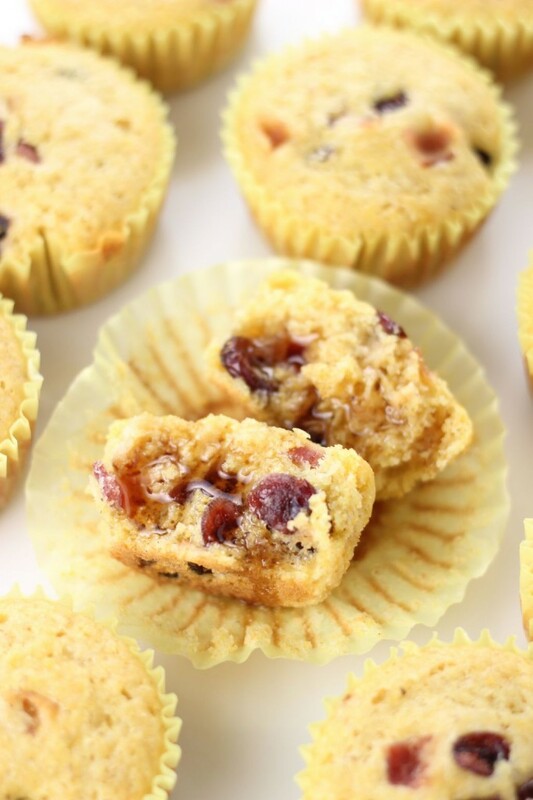 In a large bowl, whisk together cornmeal, flour, baking powder, salt, and brown sugar. Add creamed corn, mashed sweet potatoes, honey, egg, butter, and milk, stirring until blended. Do not overmix. Pour batter into a greased 9-inch square pan. Bake at 400 degrees for about 40 minutes or until a toothpick inserted near center comes out mostly clean, and edges are golden brown. 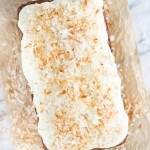 Refrigerate for 20-30 minutes to allow it to 'set', and it will stay more firm and cohesive. This is pure genius. Such a creative way to add new flavor to a classic! I think I could eat this with every meal for the rest of my life! 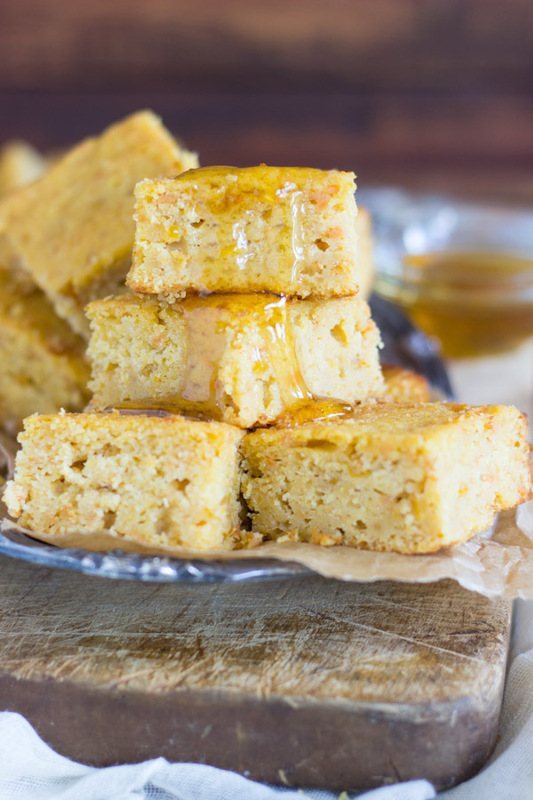 Now this sounds like an awesome cornbread! 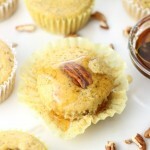 Thanks for sharing on the Whats for Diner link up! LOVE this combo!! Looks so delicious – thanks for sharing at Share the weath Sunday! I love how easy it is to do this recipe. Loving the sweet potatoes in this recipe. Stopping by from Foodie Friends Friday.